We help improve your customer's experience, both in the showroom and in the backroom. 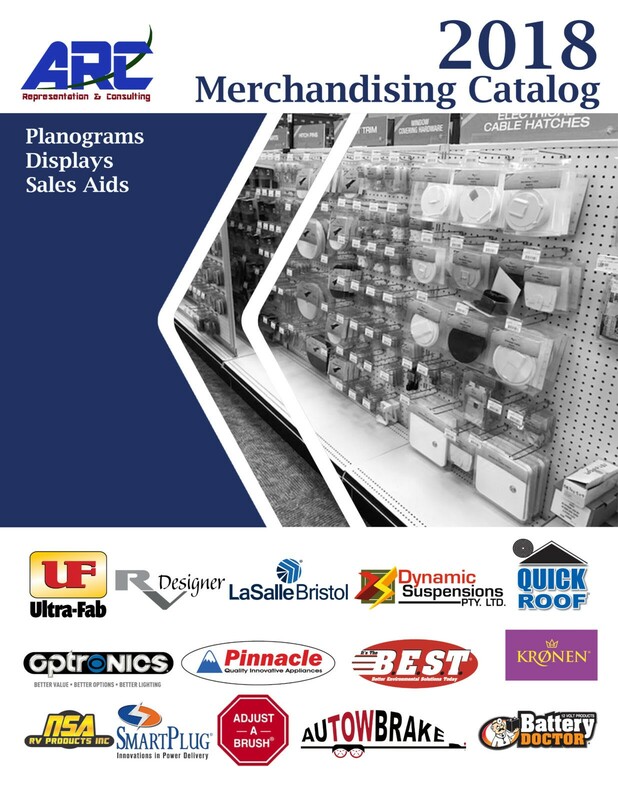 By recommending the right products, the right displays, the right merchandising solutions and providing the best education on how to sell those products, we make it easier to sell products and create repeat customers. Through video training and on-site presentations we gladly educate your store staff, technicians and sales staff. By representing the best supplier in each segment we proudly provide information that makes it easier to sell our products. Ask about our Training Parties and stay on top of the latest information with our Video Training segments. Check out our quarterly Focus Flyer. This educational flyer is designed to add to your knowledge and to help you save money on specific products. Don't miss an issue and this valuable periodical is succinct and powerful and designed for your benefit. 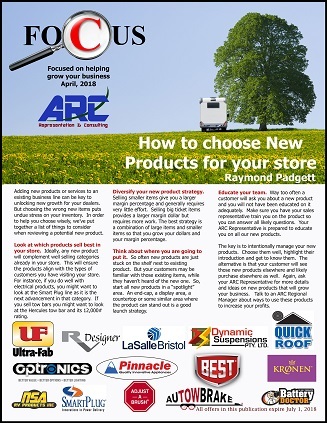 ARC’s main job is to help suppliers, distributors and dealers sell more product. 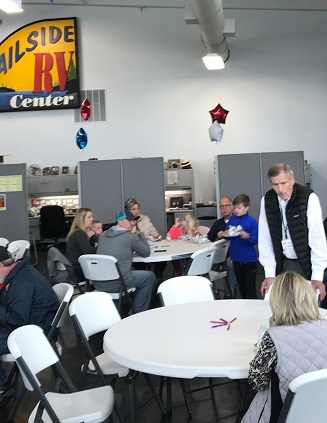 We focus on all three aspects of moving product through the RV supply chain for the ultimate benefit of the retail public. We do this by educating the industry on the benefits and advantages of the individual products and the product lines. We help suppliers design marketing programs, planograms and displays that help the retail customer make great decisions. For suppliers this is the perfect, low-cost alternative to a full sales force while providing them with decades of successful experience from a staff that has held positions running Parts & Service at dealerships, Sales management experience at distributors, Category Management at the largest distributors, and executive experience at a large supplier. With an approach where we treat each supplier member as a family and work together for the common good of the group. The ARC family is here ready to work for you and help you sell more product. Contact us to discuss representation or help at your dealership.